Sir Malcolm Arnold was born in Northampton on 21st October 1921. His early musical influences came from his mother, a gifted amateur pianist and from writing and improvising jazz with his brother and friends. At the age of 12 he started playing the trumpet largely under the influence of Louis Armstrong whom he had met briefly in Bournemouth. At the age of 16 he won a scholarship to the Royal College of Music where he studied trumpet with Ernest Hall and composition with Gordon Jacob. After only two years of study he joined the London Philharmonic Orchestra and was soon promoted to principal trumpet. Apart from two years of war service he remained with the LPO until 1948 when he retired from professional performance to concentrate on composition. From 1948 until the early sixties, Arnold composed at a tremendous rate. His highly varied output contains symphonies, concerti, chamber music, stage works, divertimenti, choral music, song cycles, music for wind and brass band, and over a hundred scores for film and television including the music for David Lean’s film “The Bridge on the River Kwai”. His immense activity as both composer and conductor took its toll, and in the early sixties he began to suffer from depression and his marriage broke down. In the mid-sixties, he moved to Cornwall where he remained until 1972 with his second wife, becoming closely involved in Cornish musical life. From 1972 to 1977 he lived in Dublin and composed music in which a distinct Irish lilt can be heard. After the break-up of his second marriage he returned to England but illness prevented him from extensive composition. In 1984 Malcolm Arnold moved to Norfolk. At the time he was told that he had less than two years to live and would never work again, but fortunately both predictions proved incorrect. He received a Knighthood in 1993. The serenade of 1950 contains much of the characterful music that typifies Malcolm Arnold’s style. The first movement is gentle and lyrical with a beautiful floating theme played at first high on the violins. The second movement is slower, mysterious and again highly lyrical. The third is fast and rumbustuous with more than a trace of brass bands and English folk music in it. 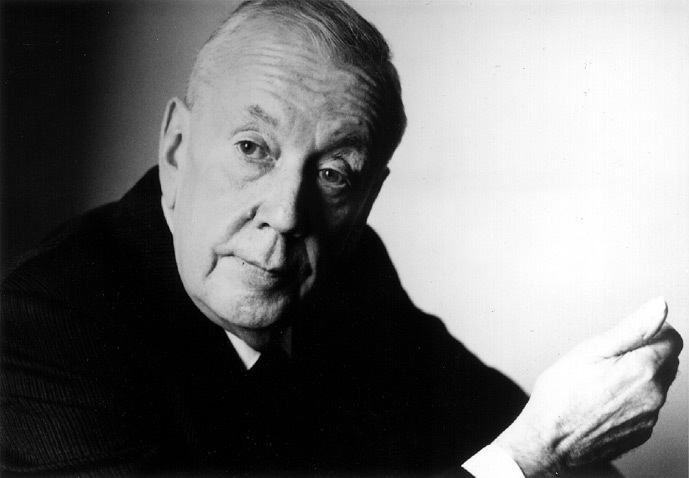 Malcolm Arnold's Serenade was performed by the Portobello orchestra on the 8th July 2006. The conductor was Anthony Weeden.